I remember in the early years of the Revolution there was a cleric by the name of Hojatoleslam Lahooti. He was more on the liberal side and usually in the opposition. Around the same time I had heard there was another Lahooti, Abolghassem Lahooti, a communist poet, who fled Iran to the Soviet Union in the 1940s. Lahooti the Cleric disappeared from the political scene in the 1980s and I never heard anything more about Lahooti the Communist. Until two weeks ago. Mehdi Jami, a journalist and filmmaker in London, called to offer some films for the so-called First Iranian.com Film Festival (my daughter doesn&apos;t like the name. 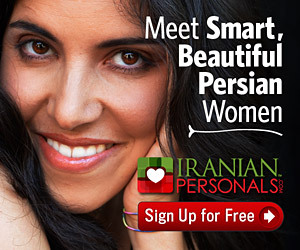 She says who cares if it&apos;s the “first” iranian.com film festival? She underestimates my marketing genius). When Mehdi said he was going to send a Soviet documentary on Lahooti the Communist, my jaw dropped. I wanted it. Last week, Mehdi&apos;s package arrived in the mail and I quickly loaded “Lahooti”. What I saw was frustrating, to say the least. The sound quality was poor and I was having a hard time understanding the narrator&apos;s Tajik — “Shakespearean Persian” — accent. Worst of all, I had never seen a picture of Lahooti and couldn&apos;t pin point him in the film. But how could I miss him? He&apos;s there in almost every frame. When the film opened in fast-play with footage of a short , I thought he was Charlie Chaplin in his later years making fun of Lenin. I&apos;m not kidding you, half-way through the documentary, I still couldn&apos;t believe my eyes. Is that really Lahooti? The man I knew only as a communist poet who ran away from his country, was not only a leading communist in Iran, but later on , with some 150 of his poems turned into revolutionary songs, inspiring Persian speakers in the Soviet Union and Iranian leftists. Here was an Iranian revered and honored and glorified in the USSR, and yet among his countrymen — except for pockets of leftists and intelletuals — he&apos;s all but unknown. Even among those who have heard of him, many consider Lahooti a traitor because of his leadership role in trying to install a Soviet-backed communist government in Tabriz. “Lahooti” looks like any other piece of communist propaganda you may have seen. But its propaganda about an Iranian; an important and fascinating historical document of the Iranian left. It&apos;s also a telling sign of the treasures gathering dust in Russia. I mean, in this documentary made by Tajik director Dawlat Khodanazar, there are short footages of . I want to see all films and photographs related to Iran and Iranians in old Soviet archives. Don&apos;t you? Could someone please go to Russia and resecue this stuff?